It’s all about the preparation. Get prepared. Make lists, go into nesting overdrive, do anything and everything you can to be ready. Everyone will laugh at your OCD, but don’t listen. I labelled every shelf in the laundry cupboard so anyone who offered to help put washing away could. Obsessively organised yes, but it helped so much when the time came. You might not fit into maternity clothes (or your shoes for that matter.) This doesn’t happen to everyone, but my giant bump wouldn’t fit into normal maternity clothes. There was only one pair of trousers that fitted in the end and that was these whoppers: Heavenly Bump Palazzo Pants. Rest? Everyone will say to you all the time “sit still, take it easy, you’re having twins for goodness sake.” Strangely, I found it much harder and more uncomfortable to sit still. Do what you feel comfortable with (and what the doctor orders, obviously). Don’t assume you’ll feel dreadful. I worked almost until my twins arrived at 36 weeks. I found the last few weeks hard but apart from that, I loved it. I wasn’t sick once. Everyone seems to assume that if you’re having twins you’ll be blighted by every pregnancy ailment, it’s not always the case. People will ask you a LOT of questions. There’s a natural curiosity about twins, as soon as people know you’re having a pair of babies they’ll ask anything and everything. “Was it IVF?” “Do twins run in your family?” “Are they identical?” I didn’t mind all of the questions, but it does help to be prepared with your answers! This post was written in collaboration with George at Asda as party of their #MaternityMemories campaign. 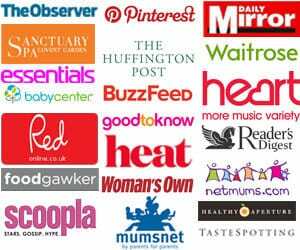 Find their maternity range here: Maternity Clothes – Womenswear. I cannot imagine having twins! You are so amazing. 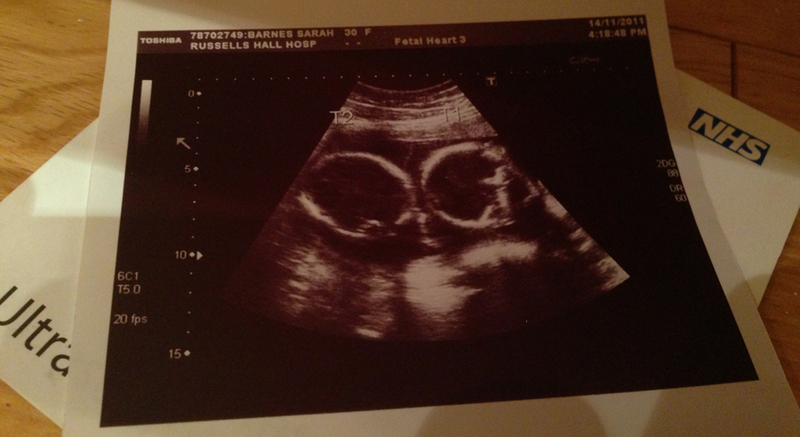 I love the scan photo…I don’t think I have ever seen one of twins. How adorable that they are facing each other! My twins have just turned 17 and I have learned that you just move from one phase to another! I have also found that I just crack how to deal with them when they move to the next phase 😂 but I wouldn’t be without them. It’s a great adventure having twins.